Forget about the fact that they don’t have refined sugars, grains, or dairy, they also have wonderful & nourishing ingredients! 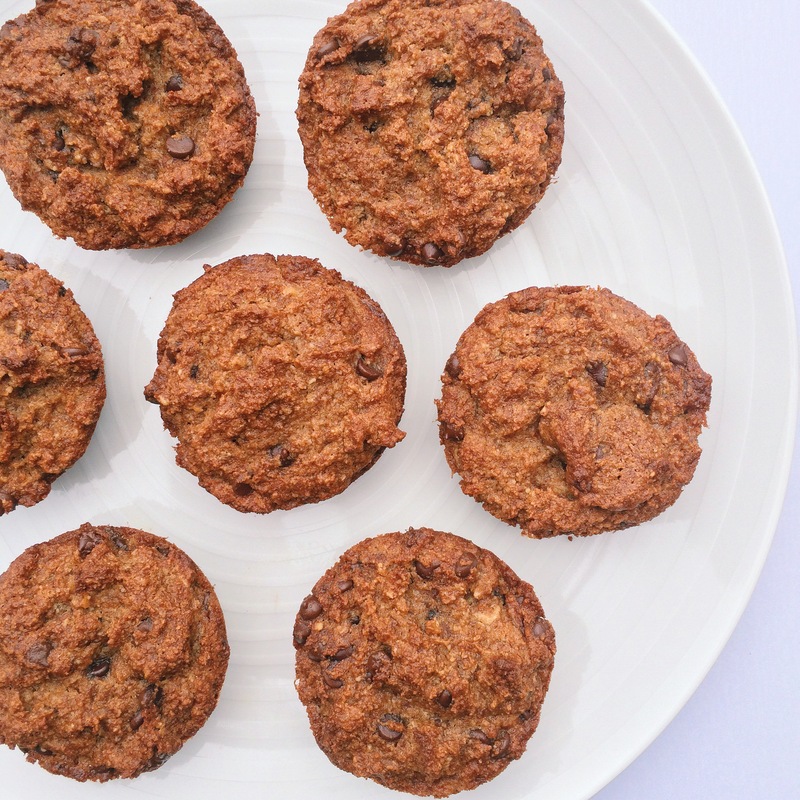 These muffins are chock full of vitamins and minerals from the bananas, healthy fats from coconut oil and almond meal, fiber and protein from coconut flour and egg whites, and some Enjoy Life chocolate chips because everyone deserves some chocolate. Over countless times of making these delicious muffins, I believe I have perfected the recipe, but how about you all give it a try! Combine all dry ingredients and set to the side. Mix wet ingredients together in another bowl and then combine them with dry ingredients. Fold in 1/3 cup chocolate chips with a rubber spatula. Spoon the batter into a oiled muffin tin or use parchment paper cups. Bake until tops of muffins are golden brown, should be about 30 minutes depending on your oven. These muffins are amazing just the way they are, just like YOU! But, they could also be yummy with a smear of extra nut butter of your choosing! Give them a try, and let me know what you think via Instagram, Facebook, or Twitter!